Lewes is of course one of the towns featured in our on-line treasure hunts and in my opinion a perfect place for a teambuilding treasure hunt or a birthday/anniversary style treasure hunt. It is a quirky town and of course the county town of East Sussex. Despite this title it is certainly not top in terms of population. County Hall is probably the biggest employer and draws in a lot of commuters from around the county. So what is it that makes me smile when setting up treasure hunts here and what should you look out for? Well..in no particular order I think I want to draw attention to the Battle of Lewes (https://sussexpast.co.uk/wp-content/uploads/2011/10/Battlefield-Walk.pdf) first. 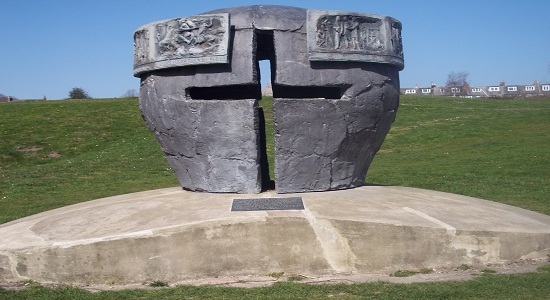 It was an important one in that it gave rise to the idea of having a parliament.There are two places in Lewes where you can find out about the battle, but both, happily for a treasure hunt compiler, need directing to if you are not familiar with the town. There is a fantastic soldiers helmet monument amidst the priory ruins and also a small plaque about the battle just on from the castle. The Lewes Priory Ruins (http://www.lewespriory.org.uk/) themselves are next on the list and despite the term `ruins` are nevertheless very well worth seeing. I make sure treasure hunters pass a display that re-creates what the priory would have looked like back in the middle ages. I mentioned Lewes Castle a second ago and that has been well preserved. 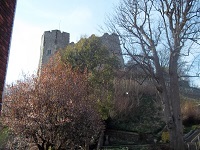 It is a Norman castle (https://sussexpast.co.uk/properties-to-discover/lewes-castle) and as you look for clues you can see a cannon from Russia and a stocks. It is also floodlit at night..what`s not to like? Away from the history for a moment and the Southover Grange Gardens (https://www.tripadvisor.co.uk/Attraction_Review-g186275-d3558069-Reviews-Southover_Grange_Gardens-Lewes_East_Sussex_England.html) are a must for any treasure hunt.It features an ancient Mulberry tree, sculptures, an excellent picnic area if you are not in a hurry doing a teambuilding treasure hunt and also a site for wedding receptions. Just on from here is the steep Station Street.Not necessarily beautiful or amazing to look at, but about half way up it there is a noticeboard telling you about how Gideon Mantell from Lewes discovered an Iguanodon! Talking about steep streets (ok..so Lewes does have a few ups and downs) my number six is Keere Street. This is a cobbled street that really does take you back in time and was also the site of an hilarious bet won by the raffish Prince Regent. Divorced,beheaded,died,divorced,beheaded,survived! Yes..this is the way to remember what happened to Henry VIII`s 6 wives. The only thing I can`t remember is in which order the wives came. Anyway..Anne of Cleves (https://sussexpast.co.uk/properties-to-discover/anne-of-cleves-house), who was one of the aforementioned wives, has/had a house in Lewes and, although it normally involves a mini detour on a treasure hunt, will always be part of any route I put together. Number 8 is Thomas Paine. He was credited with having a massive influence on American Independence with his writings and defence of the French Revolution. He lived (his house still stands) and worked in Lewes and there is a sculpture of him outside the library, but also pictures and a history of him (translated helpfully in French!) in the middle of a small market place at the top of town. On a light note I always make a point of visiting the flea market when in Lewes. It`s perfect for unusual treasure hunt questions and worth a bit of anyones time. Shiny knights in armour, planes hanging off the cieling and stone Lions on guard outside. 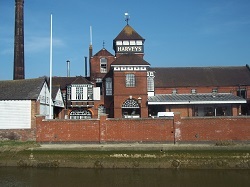 Venturing finally to the bottom of town and really it is all about Harvey`s Brewery (https://www.harveys.org.uk/). The towns very own tasty beer is brewed to revive you maybe at the end of the treasure hunt. Try the John Harvey Tavern just across from Harvey`s own shop.